Big up to Arlen and son! 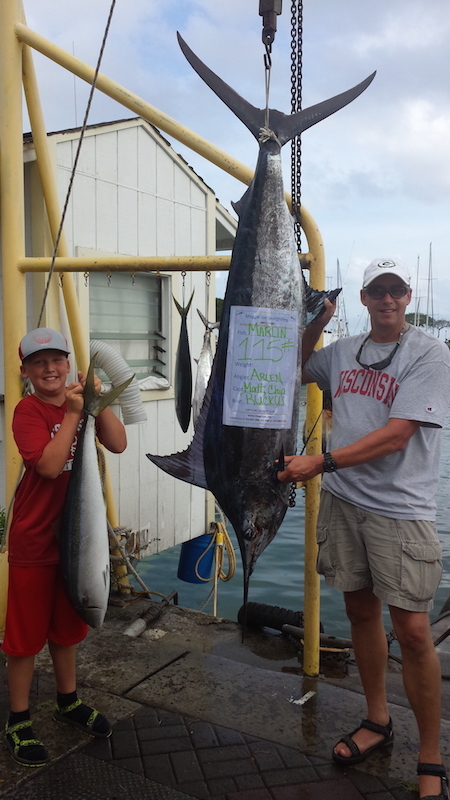 Arlen reeled in this nice 115 lb Blue Marlin while fishing aboard the Ruckus with Captain Matt. Aloha and Hana Hou!